How much of your Social Security Benefits/Income may be taxable? How much of your Social Security Benefits/Income may be taxable? Is your social security income taxable? Only a tax professional can give a good answer to this question. Being a tax professional, the answer to the above question is ‘maybe’, because the taxation of your social security income is entirely dependent on how much additional income you receive from other sources such as income from part-time work, self-employment income, income from pension and distributions from retirement accounts. Therefore, your social security benefits may be tax free or partially taxed. As a tax professional, we can help you with tax planning regarding social security benefits. 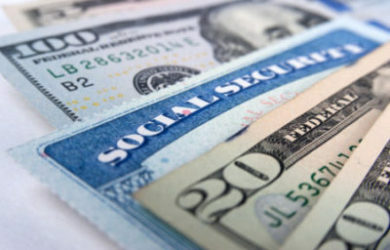 People filing as single individuals with a countable income of $25,000 to $34,000 must pay income tax on half of their Social Security benefits. Individuals with a countable income of more than $34,000, will be liable to pay income tax on 85% of social security benefits. For the married couples jointly filing, those with a combined income of $32,000 to $44,000 will include in taxable income half of their Social Security benefits. Couples with the joined income of more than $44,000 will include in taxable income 85% of their social security benefits. By “countable income”, also known as ‘temporary income’, the IRS includes your Adjusted Gross Income + Non-taxable Interest + ½ of your social security benefits. Today, nobody pays taxes on over 85% of their social security benefits. The tax rate of Social Security is the same as your normal income tax rate. Assume that you are filing as a single individual with countable income over $25,000 but less than $34,000, 50% of your social security monies are included in taxable income. This rises to 85% for every dollar over $34,000 of includable income. Half of the difference between your joint income and IRS joint income threshhold. Things get more confounded for those paying tax on 85% of their benefits. The IRS offers both an e-document programming and a worksheet to enable retirees to compute their Social Security charge risk. If you are worried about your taxation rate in retirement, you may consider saving in a Roth IRA. Roth IRA contributions consist of after tax dollars so you lose the tax deduction on contributions. However. you won’t be forced to take Required Minimum Distributions (RMDs) as you would with a customary IRA and the growth is tax FREE! The growth on a traditional IRA is completely taxable AND you MUST take distributions. Roth IRA distributions won’t be included in your taxable income for the purpose of ascertaining whether your Social Security monies will be taxed. Drawing from a Roth account may enable you to support lifestyle and keep your taxable income low enough so that social security benefits are not taxed. To avoid a big tax bill at filing tome; you can pay taxes on your Social Security income throughout the year. There are two methods for doing this. You can pay quarterly estimates like you would with taxable investments or you can ask the Social Security Administration to withhold taxes from benefit checks. Pondering whether your Social Security advantages will be liable to state taxes? It’s muddled and your most solid option is to check with your CPA or tax attorney. A few states offer exclusions and credits based on income and/or age. Most of the states exempt at least some social security income from taxable income. As with federal income tax, if social security is the only source of income, there is no need to pay state income taxes on your benefits. If you want to come up with a better retirement plan, Social Security Planning is essential. As a tax professional, I can provide you with the above benefits and can help you to analyze if your income is taxable and how to reduce taxes when you begin drawing your retirement income. 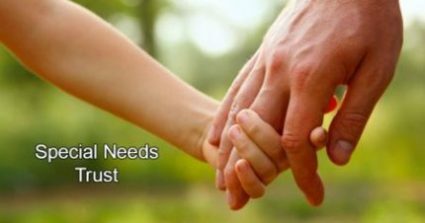 We also assist in analyzing your specific options on when to start taking social security-a related but different matter. If you want to come up with a better retirement plan, Social Security Planning is essential. As a tax professional, I can provide you with the above benefits and can help you to analyze if your income is taxable and how to reduce taxes when you begin drawing your retirement income.